This information come to light in a Google Alert recently. It shows two reasons why Imagine WiMax won’t provide their customers with a geographical alternative for their 1890 customer care numbers. The reason we have an 1890 number is because this number is charged at a flat rate for everyone in the country. So no matter where in Ireland you are calling from or what call package you have, it is a flat rate price. We feel this is the fairest option for everyone. Thanks. Hi Kevin, in the past we have used free phone and geo numbers as our main contact numbers however it leads to a lot of prank and irrelevant calls, basically people dial the number just because its free and block the lines for genuine calls. So the reason we and all other Telecoms provider don’t use geo numbers is to ensure the calls we receive are relevant and can be dealt with effectively. And they then have the cheek to say “hope this helps”. Yeah, you hope it helps that it costs your customers more money than necessary to call you up. Nice! If calling from your mobile, the new number for Bank of Ireland phone banking services is 0818 365 365. If you are calling from a landline, however, you can still use 1890 365 365. From 8th September 2010, customers will only be able to reach us from a mobile by using this new number – 0818 365 365, while landline users will still be able to use 1890. Since calls from mobiles to a 1890 number are significantly more expensive to operate, the Bank has followed other major companies and introduced a new ‘telenumber’ to cater for these calls. In most cases there will be no difference in cost to customers calling from their mobile since mobile operators generally charge the same for a 1890 call as a 0818 call. However, you should check with your mobile service provider for more information on your own charges. We’re using an 0818 number instead of 1890 for customers calling from mobile numbers (the growing majority of our customers since numbers of landlines are falling) so that we can make money off our customers even as they call us for our help. It costs businesses to provide an 1890 number, but businesses make money for themselves from an 0818 number. So, in theory, the longer you’re held on the phone when they make this change, the more money they’ll make for themselves. It’d be interesting to see if there’s a longer wait time for Bank Of Ireland clients from September 8th. Don’t forget though, that the geographical alternative for the 1890 or the 0818 numbers is still 01 404 4000. If you find yourself dialling an 1890 or 1850 number for a company, then you’re the one who should really be getting the wake up call. Despite being called Lo-Call or Call Save numbers, you could find yourself paying up to 49c per minute to make a call that’s normally advertised as 5c per minute. And worse, if you’re calling an 0818 number, then the company on the other end of the line are actually making money from your call. So, for these companies, it’s financially worth their while to keep you on the phone as long as possible, even if you’re making a complaint. Lo Call and Call Save numbers were originally set up before mobiles came along to give consumers a number that would cost the same to call no matter where they were in the country compared to the location of the company. But with the advent of mobile phones, and inclusive minute bundles on both landlines and mobile packages, they’re really just an excuse for the telecoms companies to print money. This is done by excluding calls made to these numbers from your inclusive minute bundles you have with your phone contract – you basically pay extra from these calls no matter how many “free” minutes you get every month. And if you’re calling from a mobile phone, your Lo Call or Call Save number will cost you up to 9 times more than from a land line. With the massive growth in the use of mobile phones in Ireland since these numbers were originally set up, less and less of us are making any calls from landlines. So more and more of us are getting stung by these ridiculous call charges, greatly adding to the mobile phone company profits. It’s a poor show for many Irish companies and the customer service they provide when many don’t seem to realise the cost to their customers by only providing 1890 or 1850 contact numbers. And obviously, for companies providing 0818 numbers, they’re consciously trying to make an extra buck when you call them – taking a cut of the outrageous costs charged by the mobile companies. And what’s worse, even though this country is riddled with regulators and government and so-called independent watchdogs, no one wants to know about this blatant rip off. In the past, I’ve made complaints to the Advertising Standards Authority of Ireland, but they don’t want to know. They tell me to speak to ComReg who say it’s nothing to do with them. The National Consumer Agency say it’s nothing to do with them and pawn you off on the Competition Authority or the Consumers Association of Ireland. They merely published a letter in their magazine, while the Competition people said that there’s nothing for them to investigate. Fine Gael have recently highlight the issue with these Lo Call and Call Save numbers – and in particular, highlighting the fact that many Government departments only providing these contact numbers. SayNoTo1890.com is a website set up to provide you with the “geographical alternative” numbers for many of these 1890, 1850 and 0818 telephone numbers. A geographical alternative number is an 01, or 021 or 091 number that you can call instead of the Lo Call or Call Save numbers, but still get through to the company. By calling these numbers, you’ll either save money by having the minutes used on the call taken from your minutes bundle on your phone contract, or at least you’ll only end up paying the 5-6c per minute rather than 35-49c. Most of Irelands biggest companies are included in the website with geographical alternative numbers provided – including most of the banks, mobile phone and energy companies. If you know of a geographic alternative phone number to any 1890, 1850 or 0818 numbers, then visit SayNoTo1890.com and share it with everyone else. Even better, if you work for a company that only provides one of these numbers but you know an alternative, contact me at the website and I’ll share the number with everyone while maintaining your privacy. Given that some surveys of the worst offenders when it comes to companies keeping people hanging on show that you could be on hold for anything from 10 minutes to an hour, you could be saving yourself a small fortune on your phone costs – especially since we should really be paying those high costs at all. Following on from last week’s bad value of the week – Smyth’s Toy Stores 1550 customer service number – the people behind Saynoto1890.com contacted Money Talks with a list of alternative numbers for similarly expensive lines used by various companies. We had no joy using the alternative for Smyth’s but many of the others listed worked and, as they were included in our free minutes, cost nothing. Phone users are being ripped off when they make calls to government departments and large companies via 1850, 1890 and 0818 numbers. While mobile users who pay by bill have a block of “free” minutes credited to their phone each month, these minutes include standard land line and mobile numbers, but usually not other numbers. Dialling these numbers can cost up to 49c per minute when calling from a mobile, and up to 8c a minute from a land line. Last week, the consumer awareness website ValueIreland.com published a useful list of land line numbers which you can contact as a cheaper alternative to the more expensive numbers. The list is available at www.SayNoTo1890.com. WHILE IT MAY sound peculiar that people who contact the National Consumer Agency (NCA) to complain about rip-off prices have to fork out as much as ¤3.50 for a 10-minute call to one of its agents, that can be the case if the call is made using a mobile phone rather than a landline. Like many banks, insurance companies, Government departments and other State and semi-state bodies, the NCA advertises a so-called lo-call 1890 number on its main consumer contact page. Unlike ComReg, the Financial Regulator and the Data Protection Commissioner, to name just three organisations also representing the interests of consumers, the NCA does not list a landline contact number for consumer inquiries. It is a peculiar oversight, as the lo-call 1890 number is anything but low cost when called from a mobile. The cost of making such a call from a landline is 5.1 cent a minute during peak hours and 1.3 cent off-peak from anywhere in the country. The cost of making the same call using a mobile can be as high as €0.35 a minute and, unlike landline numbers, which are routinely included in the bundled “free” minutes offered by the mobile phone and landline operators, calls to 1890, 1850 and 0818 numbers are excluded from such deals. While many large organisations advertise their lo-call numbers as if they were entirely to the consumer’s benefit, they don’t make any mention of the potential cost. To its credit, the NCA does at least carry a note on all its promotional literature alluding to the fact that the costs of calling the number from a mobile may vary, although they don’t say by how much. Not only mobile phone users are penalised for calling lo-call numbers. Some landline customers also find themselves out of pocket, because landline deals offering unlimited calls for fixed monthly prices exclude 1890, 1850 and 0818 calls. Given its role of protecting the Irish consumer, the NCA should be beyond reproach when it comes to consumer matters, so its failure to offer a choice of both landline and lo-call numbers is surprising. We contacted the agency and were told that it had initially considered using a freephone number as its main contact but had been cautioned against it as 1800 numbers tend to generate large volumes of “crank calls”, which, it said, would hamper it in its objective of handling a greater number of genuine consumer queries. THE NCA SAYS its call centre in Cork will handle 90,000 calls this year and the number of complaints in connection with its 1890 number are “extremely low”. It told PriceWatch that its Dublin-based staff “are not trained to offer call-centre services” but consumers who call its corporate headquarters with inquiries are connected to the Cork-based call centre at no additional cost, making it a much cheaper, if little publicised, avenue for mobile phone users. The NCA stresses that 1890 billing practices are “an issue of commercial practice by those operators concerned” and says the cost of the calls to its own number “remains under scrutiny internally”. It has plans to raise the inclusion of a landline as a potential option when tendering for call-centre services within the next month. One person who would welcome such a move is consumer activist Diarmuid McShane. A year ago, he was aghast when he opened his mobile bill and saw the “horrendous” charges associated with calling lo-call numbers. When he rang his operator to complain, a customer service representative empathised but said there was nothing that could be done about it. McSHANE DISAGREED. 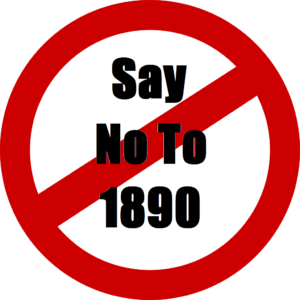 Mirroring a similar campaign in the UK, he set up an anti-1890 website, www.saynoto1890.com. The site lists the alternative landline contact numbers for companies using 1890 numbers so people calling them from mobiles at least have the choice of saving themselves a few bob. “The numbers are advertised by service providers as being lo-call and call-save. Unfortunately that only applies to landlines, and I don’t think that people who have these numbers actually realise the impact to mobile users,” he believes. We contacted the four mobile providers last week and all four confirmed that calls to 1890 numbers are not included in their bundled minutes. They charge a range of prices of up to €0.35 cent a minute. For its part, Vodafone said it did not include calls to 1890 numbers because it was concentrated on “offering value where the customer needs it the most and in keeping our tariff plans as simple as possible for the consumer. Including non-standard calls makes the tariffs confusing,” Vodafone claimed. The company doesn’t, however, find it confusing to vary the charges associated with calling 1890 numbers depending on the package consumers subscribe to – people with 600 free minutes pay €0.18, those with 400-minute bundles pay €0.20 up to a maximum of €0.30 a minute. Meanwhile, 3 Mobile charges €0.30 a minute to dial 1890 numbers while Meteor told us it did not include calls to 1890 or 1850 numbers, again citing “standard industry practice” as the reason. To its credit, however, at €0.15 a minute it is the cheapest of the networks for such calls. McShane says there is no justification for the charges to be higher than normal calls to landlines, and he can see “no reason to not have them included in minutes bundles. Given that the aim of mobile companies is to reduce the total number of landline minutes used in the country, so more and more people will be calling these numbers from mobiles. It’s easy money”. He says the line trotted out by the phone companies that it is “standard industry practice” could be translated to mean “we charge what we do because we can, and people pay it”. Stan Conroy in Dublin wrote to ask if we had noticed how many advertisers and service providers are increasingly using 1850 and 1890 “lo-call” contact numbers. “Nearly all government public services now use these numbers,” he says, and while on the surface it might seem like a good deal for consumers, it actually can work against people. “Many telephone subscribers have Eircom or BT bundles (and there must be tens of thousands) which include ‘free’ local and national calls but with the notable exception of calls to 1850 and 1890, for which there is a charge. So for us 1850 and 1890 calls are anything but ‘lo-call'” he writes. “1850 calls are charged at the local rate irrespective of duration while 1890 calls continue clicking up cost as the minutes go by. “As most 1890 calls are to call centres this can build up to be significant cost. By the time you go through all the menus and then hang on for someone to answer, 10 minutes can easily go by, at a cost of about 50c, and that’s before you start to discuss your query. If you could deal with a call centre in 10 minutes that might be ok but experience tells me that it can be much longer and often means a call back to get all the information I require. “Many of my non-public services are happy to give me a local number when I ask, for example, for AIB, BOI, Hibernian Insurance, Anglo Irish Bank. He accepts that the individual cost per call is not enormous “but the cumulative amount lining the coffers of Eircom etc must be significant”. “LO-CALL” numbers, set up by state agencies and businesses to save callers money, cost up to 49c a minute when dialled from a mobile phone. The cost of phoning 1890, 1850 and 0818 numbers is shared by businesses, but only if the caller is on a landline. Because mobile phone operators treat these numbers as “non-standard calls”, consumers are being charged at normal rates and don’t get to use their minute allowance. As a result, it is much cheaper to call a business’s normal landline instead of the supposedly low-cost alternative. The Advertising Standards Authority for Ireland (ASAI) is to raise the anonmaly with ComReg, the telecommunications regulator. “There is definitely an issue here of consumer knowledge, and we will be having a discussion with ComReg about it,” said Orla Twomey, its assistant chief executive. MacShane has found alternative landline numbers for the Financial Regulator, the Data Protection Commissioner and ComReg. “I’ve just managed to get a normal landline number for e-Flow,” he said. He has also posted a list of prices charged by different mobile companies for phoning to lo-call numbers. Vodafone is the most expensive — its pre-pay customers are charged 49c per minute during peak times for a call to an 1890 number. The cost for “pay monthly” customers ranges from 18-35c. O2 customers are charged 35c per minute for lo-call numbers, while Meteor’s are levied at 15c per minute. In its defence Vodafone said that “mobile offers the mobility that landline customers do not benefit from. It is important when considering value to the customer to consider the overall pricing structure rather than one price in particular”. O2 said it charges a flat rate of 35c per minute to “ensure transparency” and the exclusion of some non-standard calls from bundled minutes on price plans is “standard industry practice”. Meanwhile the National Consumer Agency has begun an investigation after O2 customers discovered that account upgrades they had earned had been revoked. Dozens of users found that the upgrades had disappeared when they went to use them. The customers have been told that the eligibility criteria had changed and they need to spend more money on calls if the upgrade is to be reinstated. The company said anybody who rang customer care, or was called by customer care to advise them they were eligible for an upgrade in the last 90 days, is still entitled to it. Customers entitled to an upgrade but who did nothing about it have lost out. Most inclusive calls packages (such as BT Talk Plus) include all calls made to fixed (geographic) numbers, and exclude calls made to non-geographic numbers (ie 1890). If you need to call a non-geographic number, try to find out the geographic number for the business you are calling and dial that number instead. This can be obtained directly from the company itself or by visiting websites such as http://www.saynoto1890.com/ (Republic of Ireland) or www.saynoto0870.com (UK). This was published recently in the You and Your Money print magazine, and it’s available here online also. This is only a subsection of the whole article – just the bits relevant to this website. Beat the rip-off merchants! Brenda McNally rounds up the top ten rip-offs to watch out for. From banking errors and dodgy billing practices to straightforward overcharging, big business has little hesitation about squeezing Irish consumers. Fortunately, industry watchdogs and consumer groups are flexing their muscles on our behalf. But if you really don’t want to be ripped off in 2008, don’t repeat the mistakes of the past. Take a look at our list of the top 10 ways consumers were ripped off in 2007 and, if you think you’ve been overcharged, don’t just pay whatever price you’re asked: exercise your vocal chords, query the bill and complain. Locall (1890) and Callsave (1850) telephone numbers look like a cost-saving option on paper, but that’s not the case for all of us. Irish consumers who are signed up to special telephone and mobile packages are needlessly paying up to €5 a time to ring ‘low cost’ telephone numbers. This is because these numbers are excluded from the popular mobile and landline phone deals with exclusive minutes. The Consumers’ Association of Ireland (CAI) has highlighted the issue, calling on phone companies to include 1890 or 1850 numbers in their deals. It has also said that firms with 1850, 1890 and 0818 numbers should do more to make their customers aware of how to make their calls cheaper. 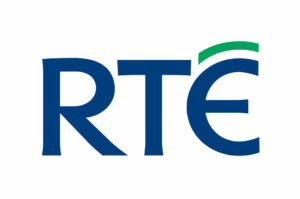 Ticketmaster Ireland: 0818 719300 – use 01 4569569.